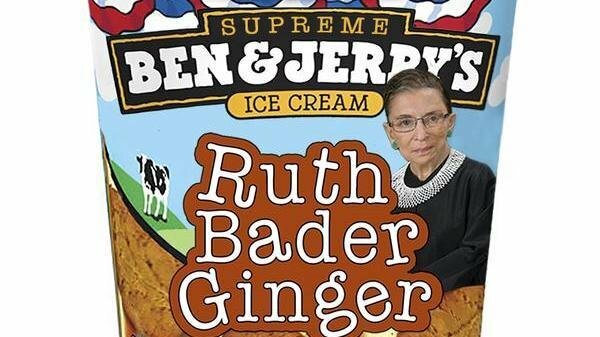 Ruth Bader Ginsburg Ice Cream? 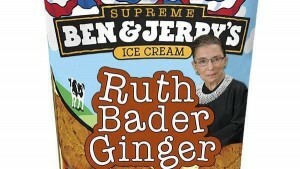 Ruth Bader Ginger ice cream? What about Sonya SotomayOreo Mint Cookie? Ben and Jerry’s ice cream has paid homage to 20 people or groups in the past according to a recent Buzzfeed article but only 2 were female. To rectify this imbalance, a petition has been started on Change.org for the Justice Ruth Bader Ginsburg inspired flavor. Justice Ginsburg is the first Jewish woman to serve on the US Supreme Court. Ginsburg also spent a considerable portion of her legal career as an advocate for the advancement of women’s rights as a constitutional principle. Category National | Comments Off on Ruth Bader Ginsburg Ice Cream? Ms. JD is offering a $500 scholarship to go towards their summer living expenses for those pursuing careers in public interest law. Women law students entering their second or third year at an accredited U.S. law school and working the summer of 2015 at least 35 hours per week for a minimum of 6 weeks at a government agency or nonprofit organization are eligible to apply. Unpaid judicial externs also qualify for these scholarships. Students need not have a placement at the time of their application, but must send an offer letter to Ms. JD by the beginning of the summer. Applicants are asked to post their essays directly to the Ms. JD blog. Applications are due no later than Friday, April 17, 2015. A recent report from the Pew Research Internet Project indicates that 73% of adult internet users have seen someone be harassed online and 40% have experienced online harassment themselves. Six types of online harassment were examined: being called offensive names, purposefully embarrassing someone, physical threats, harassment over a sustained period of time, sexual harassment, and stalking. Young adults, and especially young women ages 18 to 24, were most likely to experience online harassment. Young women were disproportionately the victims of the most severe forms of online harassment, with 26% of young women having been stalked, and 25% having experienced sexual harassment. The ABA Commission on Women in the Profession has launched its Grit Project Program Toolkit, a resource to educate attorneys about the science behind grit and growth mindset. The toolkit is based on the results of a 2012 study that revealed that highly successful women lawyers share two common traits: grit and growth mindset. Grit is defined as “perseverance and passion for long-term goals” and growth mindset is defined as “the view that one’s abilities can be developed.” The Grit Project Program Toolkit provides law firms, bar associations, and women attorneys with resources to assess, teach and learn grit and growth mindset. The Toolkit includes a program agenda, PowerPoint slides, a grit and mindset quiz, practice scenarios, speakers bureau contacts, and marketing materials. HeinOnline’s newest collection on Women and the Law offers nearly 800 titles of an historical archive documenting the impact of women in society. The collection’s homepage lets you easily navigate to topical sub-collections covering abortion, women and education, women and employment, legal rights and suffrage, biographies of famous women, scholarly articles, and more. You can also click to find articles written by specific women scholars (such as Sandra Day O’Connor, Judith Resnick, or Carrie Menkel-Meadow), and external links to pathfinders and research portals on women and the law.